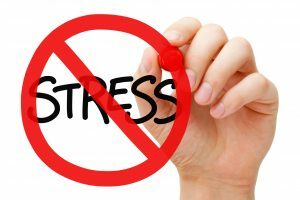 Stress can cause both emotional and physical symptoms that have a negative impact on our wellness. Getting an adequate amount of sleep each night has a profound affect on your health and wellness as well as your response to stress. The goals of a relaxation technique are to release tension and stress in various parts of the body, reduce irritability, nervousness arid anxiety, and to improve concentration. To begin, sit in a comfortable chair. Place your hands gently over your stomach. Concentrate on expanding your belly as you inhale through your nose. Inhale for a count of 4. Pause for a count of 4. Then, slowly exhale through pursed lips for a count of 8. Your hands should move inward with the belly as you exhale. Repeat this cycle 10 times. You can do this routine at bedtime or any time you are feeling stressed to promote relaxation. 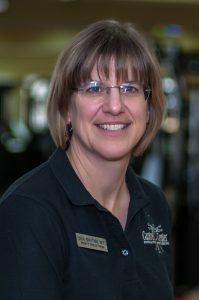 Linda Bratcher, MPT has been with the Cantrell Center for over 12 years! In her free time, she enjoys reading, hiking, swimming, travelling, and taking her dog on therapy-dog visits. Her wonderful husband, Mike, is an engineer at RAFB and part time “collectibles” dealer. Their son, Drew, (26) is a computer software engineer (programmer) at Amazon, in San Francisco, and works on the Amazon Prime music app. Their daughter, Annie (25) is an epidemiologist that works for Emory University in Atlanta. Linda, speaking on the topic of her career at the Cantrell Center, talks about how much joy she gets in improving our clients’ quality of life and helping them get back to doing the things they love to do.